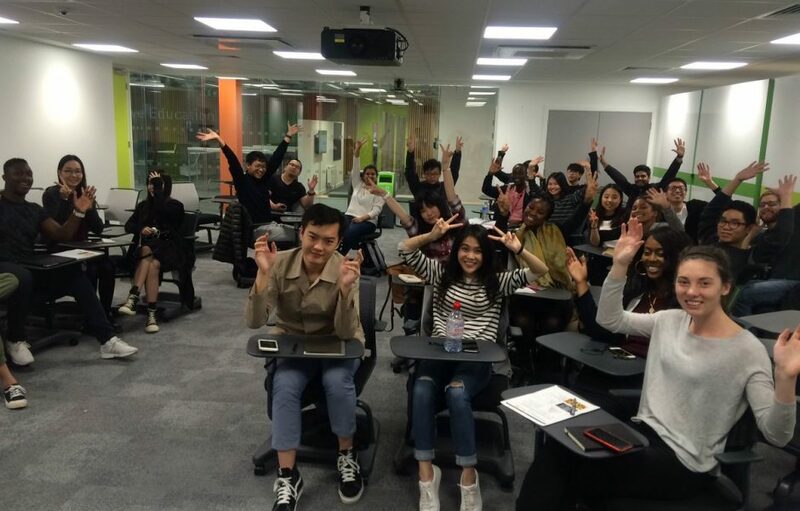 Find out what happened when our students met their Collaborative Project partner organisations for the first time, and discovered their Collaborative Project briefs. Students rallied around to interview students, staff, guests, and anyone they could get a hold of, to ask about their commuting experience. The problems and the perks of the commute were then noted, analysed and solutions were developed by every team. Following their solution brainstorming sessions, the teams created prototypes to test and portray their solutions to others. All teams were then put into ‘zones’ and they went head to head as only one team from each zone could go through to the final. Teams had to pitch their idea and show their prototype and each of the other zones had to vote for their favourite to go through. 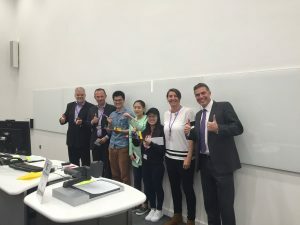 The final six teams who progressed to the final had to pitch their ideas to the whole of the Collaborative Project student group, as well as the judging panel; Michael Caine (Former Dean for Loughborough University London) and Mikko Koria (Director for the Institute for Design Innovation). Members of academic staff and the professional services team also joined to watch the final pitches. The winning team were Tokyo Loughborough 2024. The members of the winning team each received a £250 book token, a great prize for academic studies. Academics involved in the running of the ‘jam’ were Daniel Graff, Julia Goga-Cooke, Amy Ward, and Ashley Gray. Student Ambassadors who were all trained facilitators for the day did an amazing job, too! We hope all the students, staff and Collaborative Project partners enjoy their first official day of working together today, and for the remainder of the Collaborative Project process. Find out more about some of last year’s projects.